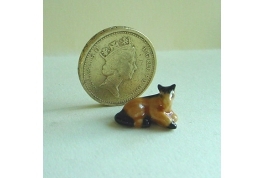 A Delightful 24th Scale China Horse Laying Down. Could Also Be Used In 12th Scale Settings. 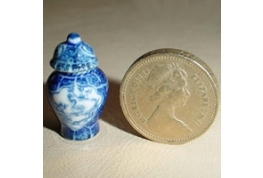 24th Scale Floor Standing Blue And White Urn. 24th Scale Floor Standing White Urn. 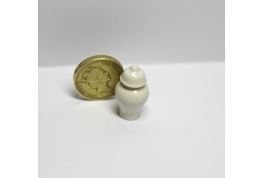 1:24 Scale White Urn, With Removable Lid. Can Be Used In Both 1:12 and 1:24 Scale Dolls House. 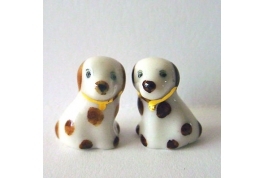 Excellent Quality 24th Scale Pair Of Fire Side Dogs Made Of Quality China With Guilded Collar. Could Also Be Used In 12th Scale Settings.